Architectural salvage is all about saving and reusing unique bits and pieces of the past--whether from old buildings, businesses, or homes--and preserving them as beautiful reminders of the talent and artistry of yesteryear. 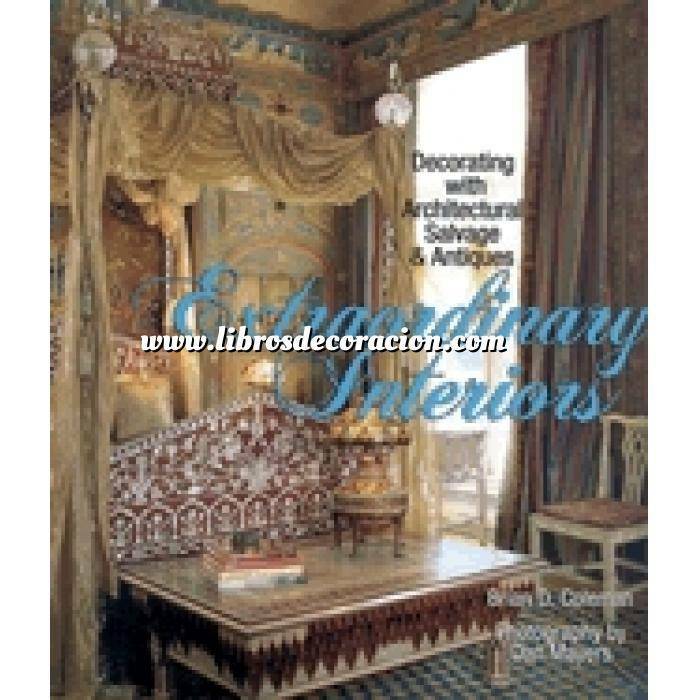 Extraordinary Interiors shows how architectural elements and antiques--such as a 200-year-old solid-oak door, an Arts & Crafts fireplace mantel, a Victorian stained-glass window, or an Art Deco lamp--can impart character and heritage to any home, even if you never got around to buying that perfectly restored historic home of your dreams. See how vintage sinks, hardware, and lighting are perfectly blended into new environments, giving the items a new lease on life, and in the process, preserving them for future generations to enjoy. From a Manhattan brownstone to a Marin county barn-turned-cottage, Coleman has documented an exquisite array of homes in locations across the country. See how a large Arts & Crafts apartment is restored to its original 1916 décor with salvage finds and a little sleight of hand, a San Francisco row house is reborn with glamorous salvage, and a tranquil, Vermont retreat is enlivened with salvaged, nineteenth-century architecture in this beautifully photographed new book.